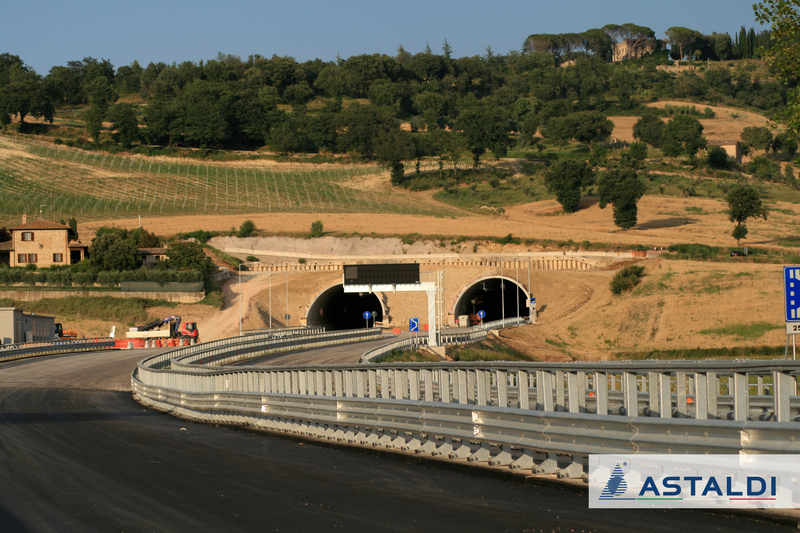 Astaldi announces that it has finalised the agreement with the Special Commissioner of Impresa, SAF and DIRPA (all under extraordinary administration), for the completion of works to upgrade the erugia-Ancona direct route and “Pedemontana delle Marche” national road forming the so-called Maxi-Lot 2 of “Quadrilatero Marche-Umbria” road network. The value of the works to be performed amounts to app. EUR 500 million. The agreement has been reached subsequent to a complex series of corporate transactions performed as part of the extraordinary administration procedure for Impresa, SAF and DIRPA, aimed at acquisition by Astaldi of the «Quadrilatero» business complex and to ensure the completion of a strategic infrastructure for the area, with consequent safeguard of the employment levels of the companies involved in the procedure. Max-Lot 2 of “Quadrilatero Marche-Umbria” road network is a complex project involving performance using the general contracting formula of works to upgrade the Perugia-Ancona direct route along the Fossato di Vico- Cancelli and Albacina-Valtreara Tunnel-Serra San Quirico sections of the national road “SS-76” (Lot 1.1 – Sub- Lots 1.1.1, 1.1.2, 1.1.3) and Pianello-Valfabbrica section of the national road “SS-318” (Lot 1.2), as well as modernisation of the “Pedemontana delle Marche” national road, along the route between Fabriano and Muccia/Sfercia (Lots 2.1 and 2.2). The overall value of works amounts to EUR 745 million, of which approximately EUR 500 million still to be performed to date.